Top left: Joe Goode, Untitled, 1973 Top right: Charles Burwell, Pink Ground & 2 Figures, 2005 Bottom left: Bill Scott, Aquarium, 2008 Bottom right: Sarah McEneaney, West Texas Night, 2009. 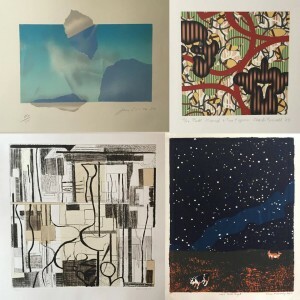 All prints were published by The Print Center. Collector Robert J. Morrison and emerging collector Emily Gowen will lead a casual conversation and answer questions about how to become an educated art buyer. Bob will give guidance based on his 40 year passion for collecting, and we will discuss strategies on a building a personal collection. 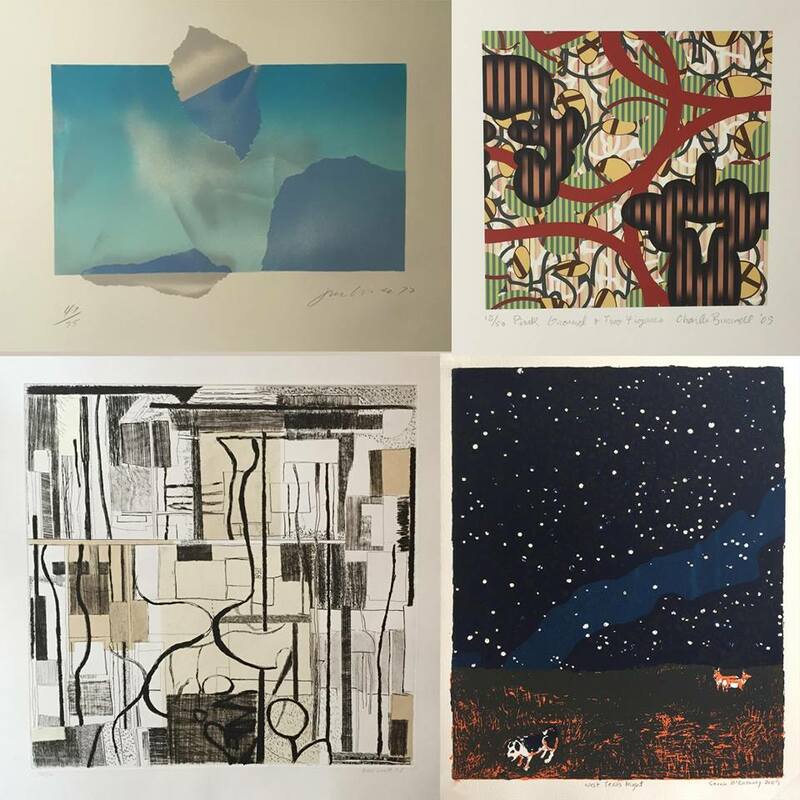 Join us to see examples of great potential purchases from The Print Center’s Gallery Store, and have your questions about framing, pricing and anything else answered by our experts.